Food & drink news ft. Manchester Museum, Hemsley sisters, Solita at Montpellier's + Corridor. Food news this week includes the new opening, the Teacup-operated cafe at Manchester Museum, Hemsley and Hemsley coming to Central Library, Solita expands again, a cool beer festival at PLY, Corridor bar’s official reopening and a new cafe called The Dressing Room working with the community in Chorlton. In a beautiful bit of Mancunian synergy, two stalwarts have joined forces as Teacup open a cafe at Manchester Museum. Serving trademark delicious cakes, sandwiches and bagels, it’s a welcome addition to the Oxford Road-based institution. And great to see the expansion of a Northern Quarter favourite across the city. Go and see the Mummies followed by a cup of tea and a nice slice of cake. Healthy living advocates and chefs to the stars, Jasmine and Melissa Hemsley, will be holding a discussion on living by nutritious recipes, and how to achieve a balanced lifestyle. Followed by a Q&A and signing session, this is your chance to learn about new book The Art of Living Well and to explore their philosophy of food, mood, digestion and health being fundamentally linked. Hosted by Central Library, it’s an opportunity to embrace better cooking habits and figure out whether you should succumb to the pressure of buying a spiralizer afterall. With three Solita restaurants in Manchester, they have announced the takeover of backstreet bar and restaurant Montpellier’s from February. 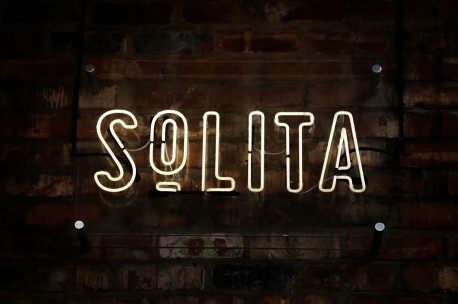 It will retain the integrity of the already-successful venue, but will add elements of the Solita menu and ambience. As one of the few places in the Northern Quarter to watch football (other sports are available), fans can rest assured that coverage will continue in the basement bar. After a New Year makeover and under new management, Corridor bar in Salford returns. Evidenced via its Twitter account, a lot of passion and sweat has gone into the project and it launches to the public on Friday with a brand new cocktail menu. Continuing on into the weekend, Olivia Ryan from The West Winds Gin will be doing a bar takeover on Saturday, offering cocktails for a fiver from 9pm. If you can’t wait until the weekend, RSVP to adam.day@corridorbar.co.uk to be invited for a sneak peek on Thu 28 Jan, with some complimentary drinks from the new menu. Theatre and Arts Centre The Edge has opened a new cafe called The Dressing Room. With local funding from The Oglesby Charitable Trust and the Lottery, it also serves as a training facility for adults with learning difficulties. Offering lunches during the day, it also stays open for evening theatre performances.